The iRevolution revisited: when you share, are you expressing? For over 150 years, people have come to Speakers’ Corner in Hyde Park, London, for the debates. Some come to speak. Others come to heckle. And others just listen and observe. 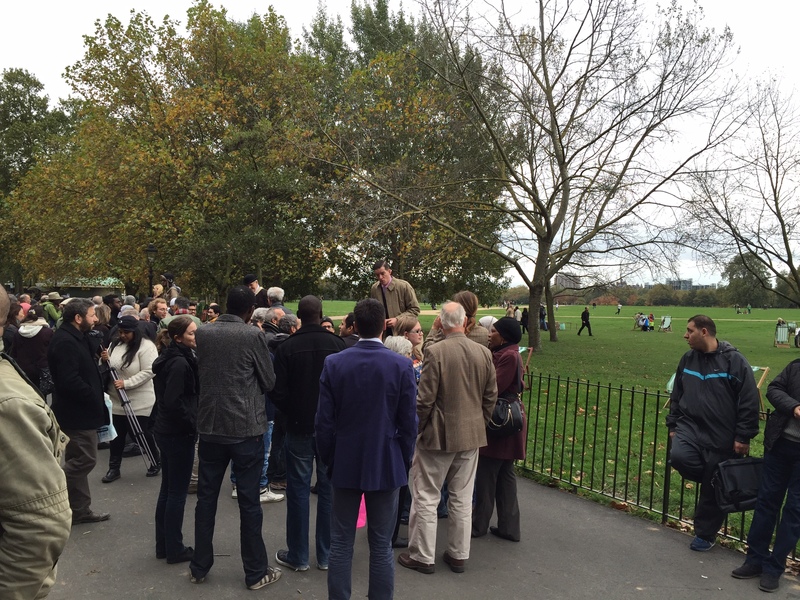 A couple of weeks ago, I ended walking to Speakers’ Corner and listening with great interest to the “debates”. Some of the debates were about religious issues. Some were about immigration. Others seemed to be about nothing at all. It was fascinating to watch this all unfold, this fundamental exercise of freedom of expression. As important as the speakers are the hecklers – described by one of the placards to the Corner as “essential to the dynamics of Speakers’ Corner”. I would also argue that equally important were the observers – those who stood and watched much like me, not saying anything but listening to the cut and thrust of the debates and simply taking in the mood of the crowds. Speakers’ Corner is an important manifestation of the exercise of free speech. Its origins date to the mid-19th century – some date it even earlier than that. It is a reflection of a time when oral debates – heard and seen by many people – were a means of addressing matters of public interest. The world has changed dramatically since then. We now live in a world bound together by radio-communications, by cell phones, televisions, mobile devices, satellite signals and, most prominently, by the Internet. The world has become a much smaller place. We communicate with each other around the world using Skype and FaceTime. We text and email and tweet and exchange documents and photos and videos nearly instantaneously. The global village exists now. Part of that global village involves file-sharing. In earlier posts, I spoke about the importance of the iRevolution to society in general and the dawning realization of the judiciary of the importance of the Internet: “The Internet Turns 25 Years Old – the Court and the World Wide Web”. In this post, I want to underscore the fact that by sharing files, whether they be audio-files, video-files, text-files, or software files, we are engaging in the extension of what is Speakers’ Corner. We are engaged in a human exercise of freedom of expression, freedom of speech.